We are looking for buyers from GCC Country, Dubai, North Africa & West Africa Only. 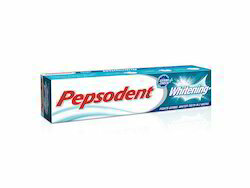 We offer our prestigious clients the premium quality range of Pepsodent Herbal Toothpastes. At vendor Pepsodent, our provided toothpaste is well processed using high-grade chemicals, natural herbs and latest technology. - Provides 12 hours protection from cavity causing germs. 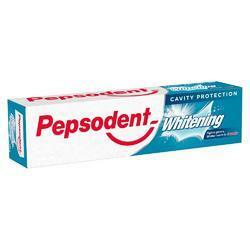 Pepsodent Whitening 150g, Pack Size: 150 Gm. - Lavang is know to prevent toothache and fight tooth decay. - Clove is know to prevent toothache and fight tooth decay. - This toothpaste gives whiter teeth in 2 weeks. - This toothpaste has superior germ attack power that helps fight cavity-causing germs even hours after Brushing.